The 1st of September is just a few days away: the first day of school after the summer holidays. There was one thing we definitely had to do. Both boys needed new schoolbags. And then we have to ask ourselves: do we buy yet another ‘cheap’ schoolbag (which is still in the price range of € 40,- to € 60,- per bag), or are we going to invest in a more expensive one. If we decide to purchase a more expensive bag, the boys will have to use quite a while longer. 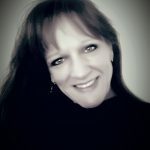 Looking at the quality, that should be feasible. The previous schoolbags lasted respectively 1 and 2 years. They also had to agree upfront, that they would not beg for new schoolbags next year. The bag for our youngest, we had just purchased last year for the start of his first year at elementary school. He desperately wanted one with a dinosaur on it. And we found one. It looked quite decent, but after just a few months, the bottom (which actually was fortified) started to rip in several places. And after half a year, the rips had become holes. Fortunately, those holes were small and nothing fell through. It’s not much they have to carry around anyway, but a folder for their homework and agenda, water bottle, lunch box and small containers for fruit and cookies. At least we could hold out until the end of the school year. Then I got the idea to look for school bags when we were on holiday in Germany. I still remember the school bag I had when I was a kid and that brand still is one of the best school bag brands in Germany. What I didn’t do, was look up the prices beforehand. 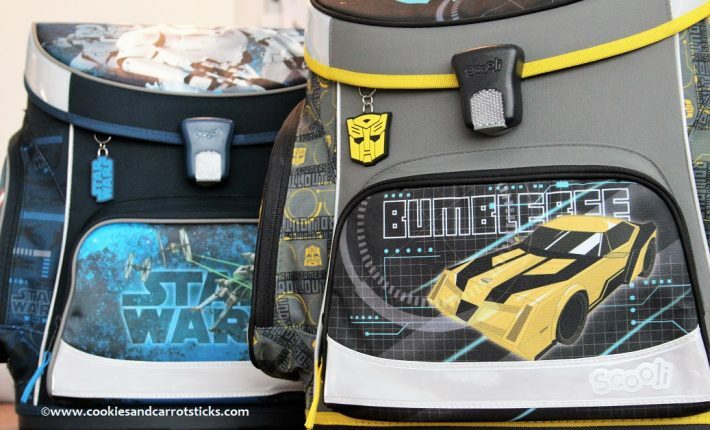 So when we got to the first store that sold school bags, I nearly got a heart attack. 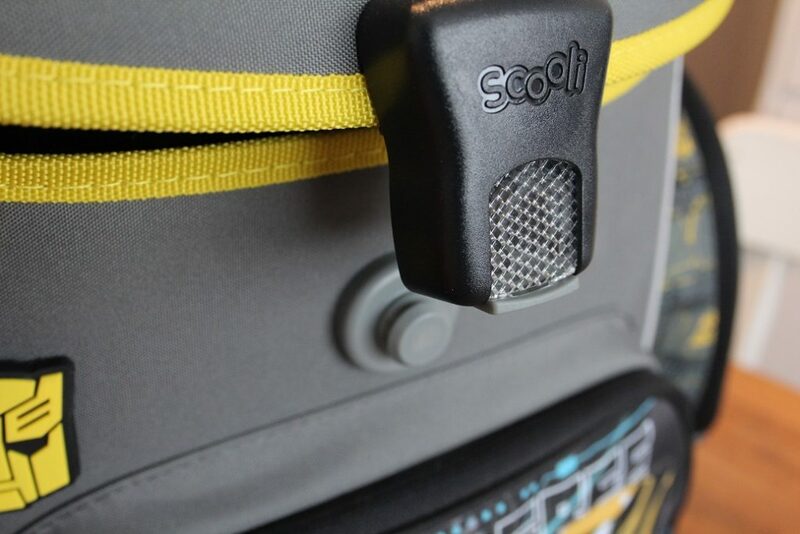 Because the bags of that specific brand, Scout, were in the price range of € 200,- to €250,-. On average. Alright, for that, you also got a sports bag, a filled pencil case, another pencil bag, a note book and a purse. If needed, you could order just the bag for ‘only’ € 180,-. So there you are, the boys getting more excited the more cool schoolbags they saw. 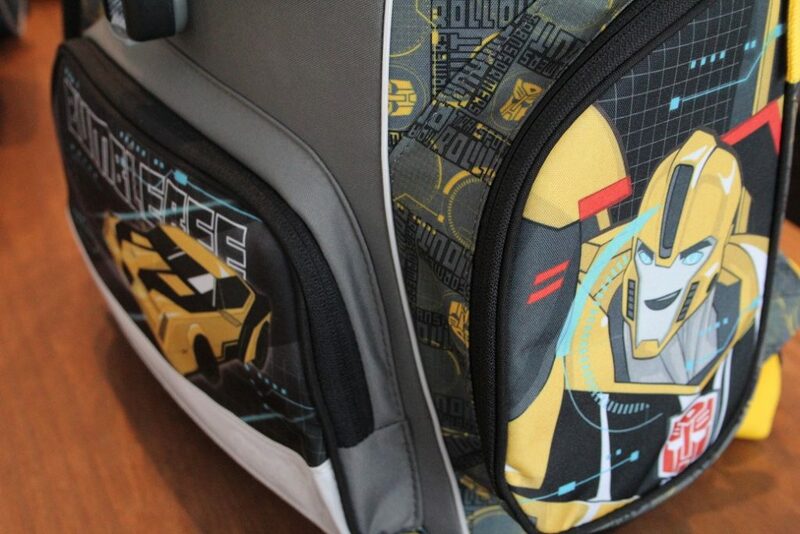 And those schoolbags were mega cool. But the price? I was so not prepared for that. We decided to think about it. It was still at the beginning of our holiday, so we did have a bit of time. In the meantime, we did check further online and checked out at which other stores they were selling schoolbags. When we went to Trier one day, we checked out a couple of stores there. 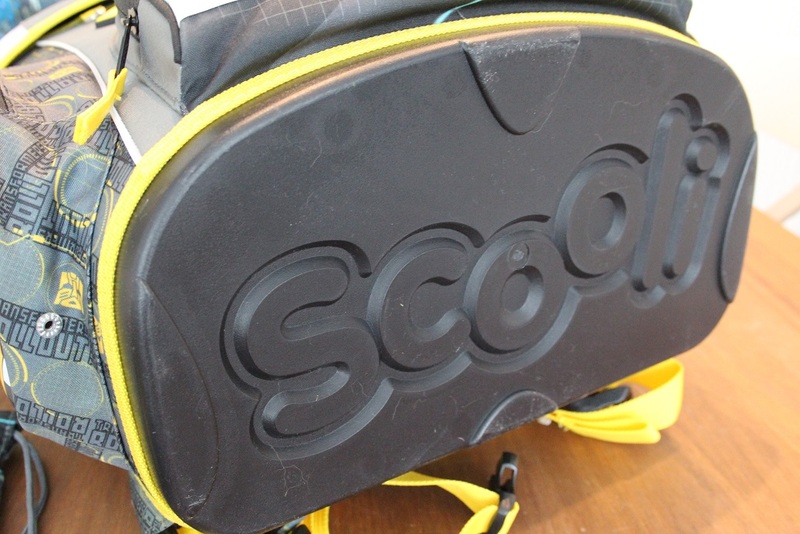 At Karstadt, a big department store, we found another brand of schoolbags: Scooli. They a discount special, but that only applied to the Frozen and Cars themed ones. That was not what the boys wanted. On to the regular priced ones. They were still quite expensive, but the ‘better’ schoolbags we get here, are also within a range of € 80,- to € 150,-. And that’s only the bag. The boys of course, still had the Scout schoolbags in mind. And we have to admit, we had seen some awesome designs. But Scooli also had few very nice ones. After consulting thoroughly and explaining that the Scout schoolbags definitely were way over our budget, the boys quickly made their choice. Sam chose Star Wars and Noah chose Transformers. And so we succeeded at buying schoolbags in Germany. It’s quite the investment, but a good one. 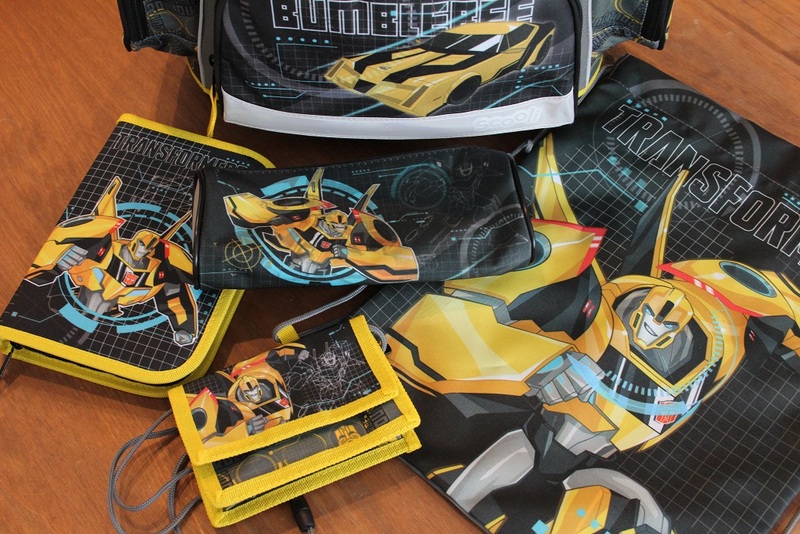 The set consists of the schoolbag, a sports bag, a filled pencil case, a pencil bag and a purse with a cord. 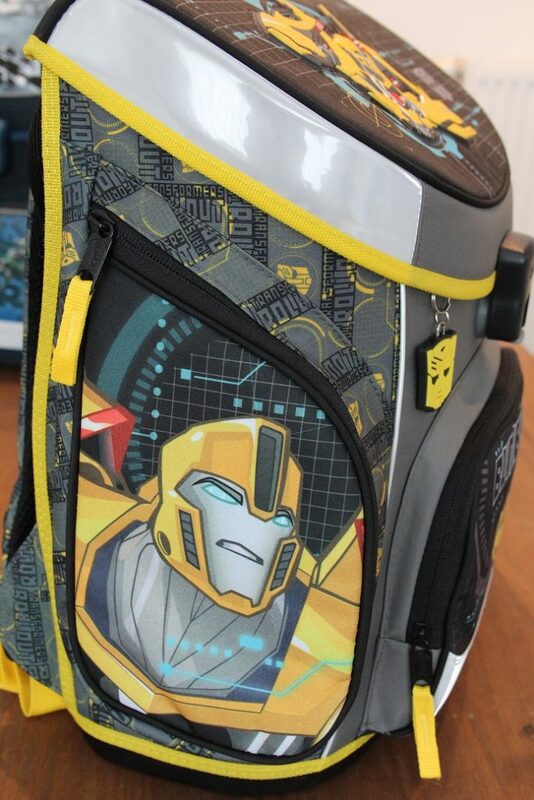 The schoolbag is completely fortified, a bit like the hard shell travel cases. The bottom is made of a hard plastic shell. There are reflectors on both side, the back and on the shoulder straps. 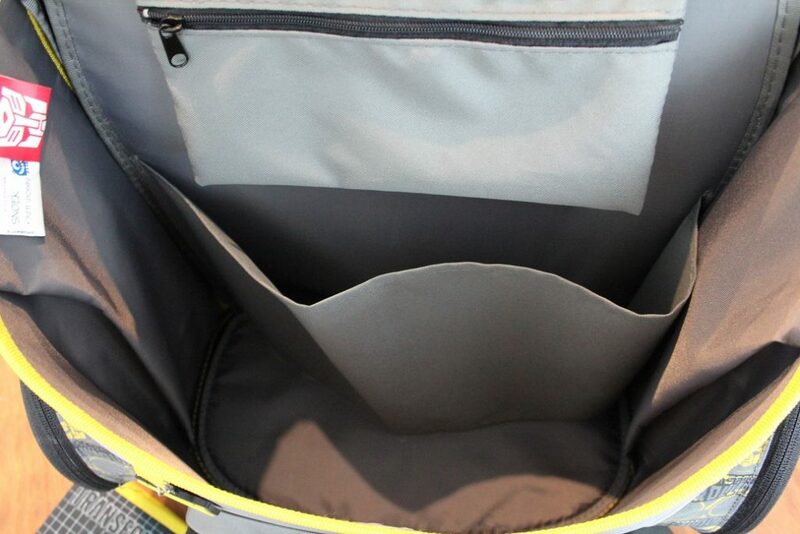 The inside is spacious and can easily fit an A4 folder. 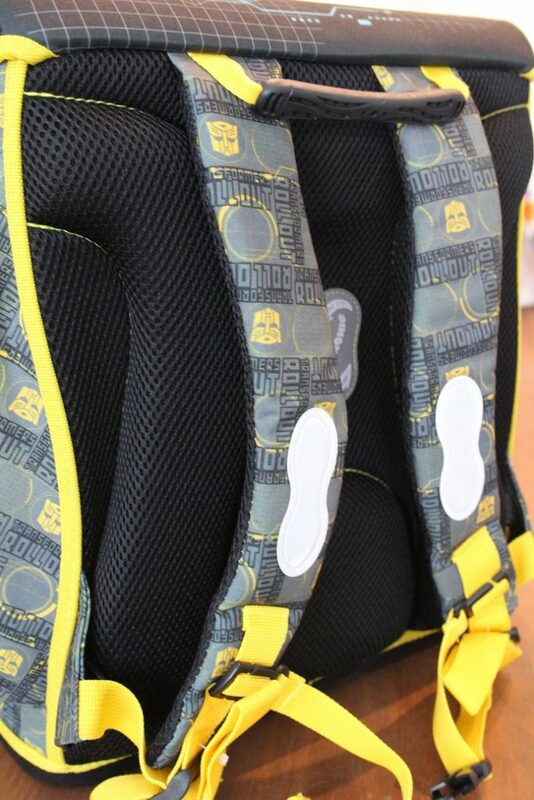 The back is ergonomically shaped, padded and air-permeable. 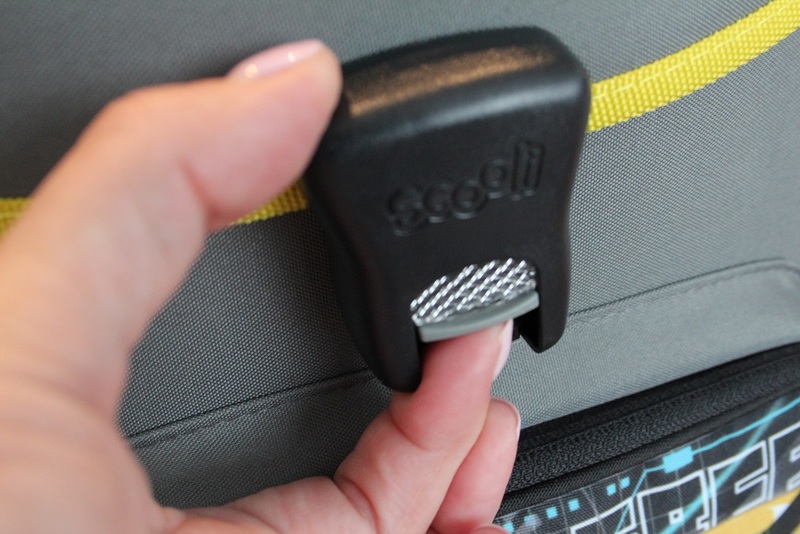 The closure is a magnetic snap and can easily be opened and closed. What I also like about the bag, is that it’s vertically shaped instead of horizontally. Most schoolbags here (for the first years of primary school) are horizontally shaped. I have wondered more than often how all those small kids cycle to school with huge bags sticking out on the left and the right. 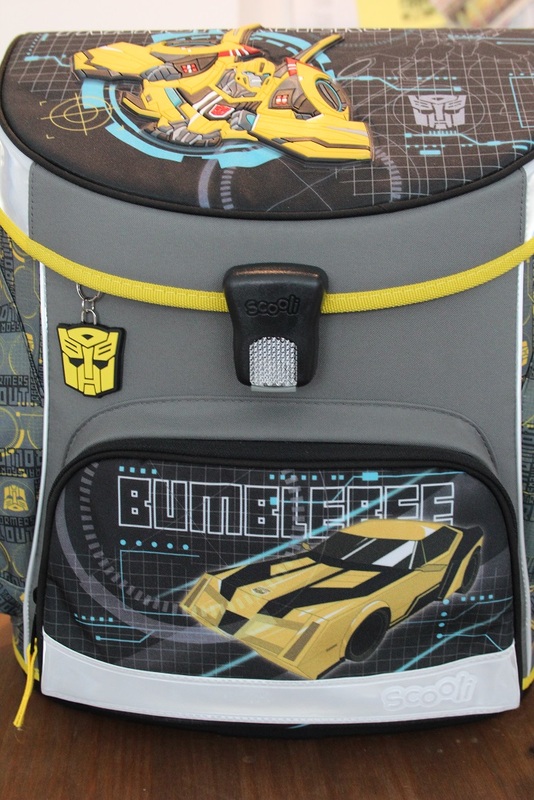 Even the tightest fit on the shoulder straps of Noah’s bag wasn’t tight enough to hold the bag secured to his back. Warre zijn tas gaat nog wel een jaartje mee! Inthe heeft een van Kipling en ook die gaat het laatste jaar kleuterschool nog mee! Die van Leni was een dure, van meter gekregen en die heeft nog maar een half jaar dienst gedaan! Dus geen nieuwe tassen… alhoewel, voor mama dus, want die haar tas is kapot! Leuke tas zeg! Die ziet er stoer uit, en ik kan me voorstellen dat een kind die echt prachtig vindt. Zo’n toffe tassen inderdaad. Ze kunnen niet wachten om ze te showen! Inderdaad prijzig, maar een goede tas is ook wel belangrijk als je kijkt hoe intensief zo’n ding wordt gebruikt. En laten we wel wezen: een damestas kost ook al gauw richting die prijs. Ze zien er echt heel degelijk en goed uit.